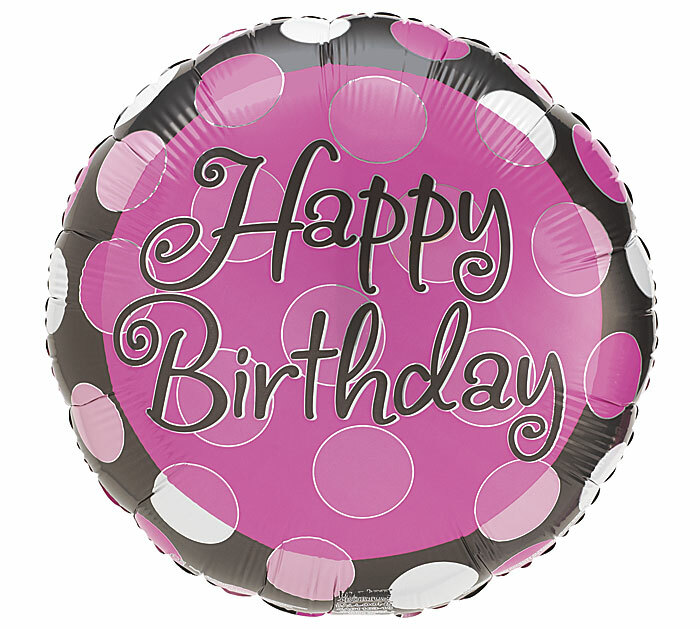 18" Happy Birthday pink and black with polka dots foil balloon. Always a first pick by customers! Customer's Love the design and colors of this balloon.